Exercise is important to lower your blood pressure, manage your weight and keep your heart healthy which in turn helps protect your kidneys. Exercise can reduce the risk of early death by 20% to 30%. Twenty first century lifestyles mean that people are less active than previous generations. Try to think of ways you can build more activity into your daily routine and lifestyle. You don’t have to join a gym or take up a sport to get fitter. If you know that your blood pressure is high, talk to your doctor as it may be advisable for you to wait until your blood pressure has been lowered by medications before starting an exercise programme. How do I start taking more exercise? Yoga, pilates or tai chi. 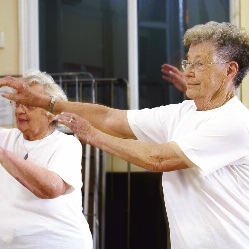 Chair based exercises (classes are often available locally – ask your GP or local leisure centre). Stop if your joints or muscles hurt or if you feel very tired. Many GP surgeries and local libraries have details of community exercise groups (some specifically tailored for those with medical conditions), swimming pools, gyms, ramblers associations and local walking groups. 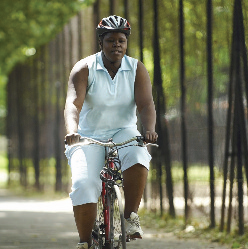 Aim for 30 minutes of moderate physical activity five days a week. This could be three 10 minute activities spaced out during the day. It may take a while to work up to this so start off by aiming to exercise three times a week for 20 minutes.